Paso Robles Makes Expedia’s Top Vacation Spots! Paso Robles was named as on of Expedia’s top 50 spots to vacation, in fact it was ranked #7 with Cambria coming in #6. 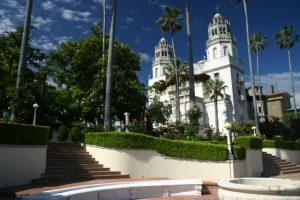 Hearst Castle was noted along with many of the wine attractions and Studios on the Park as points of interest! Residents have long known the small town charm with it’s many restaurants, close proximity to the coast and various events.